<< Back Seasonal Water Vase of fresh flowers. Sesonal flowers in a watervase. 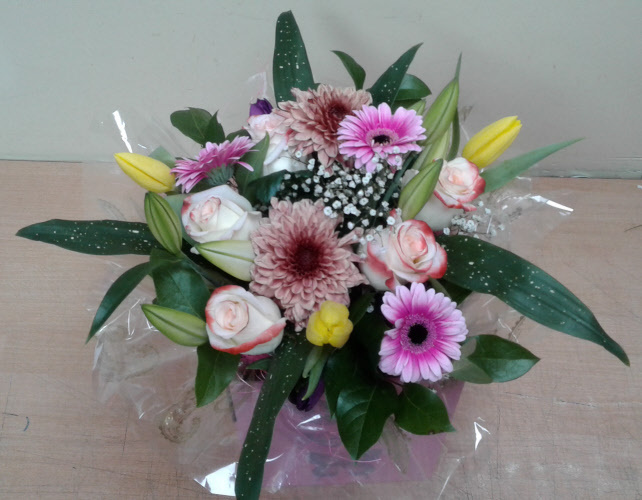 Includes Roses, Chrysants, Lillies, Gerberas and other seasonal flowers and foliage. Seasonal mix of cut flowers arranged in water. This makes a lovely gift for a birthday, anniversary, get well or simply to say thank you.